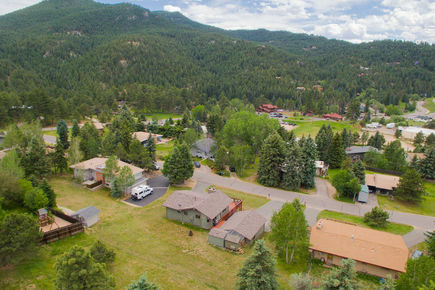 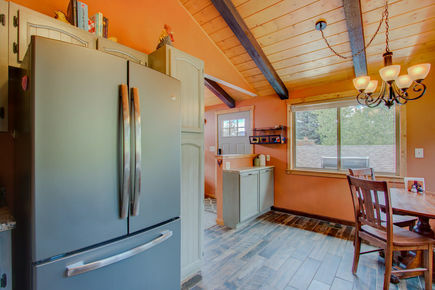 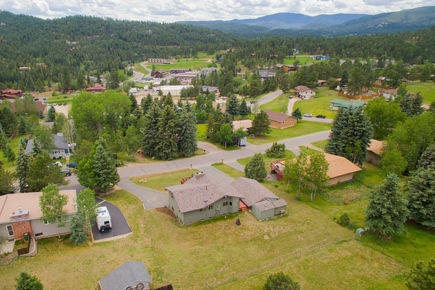 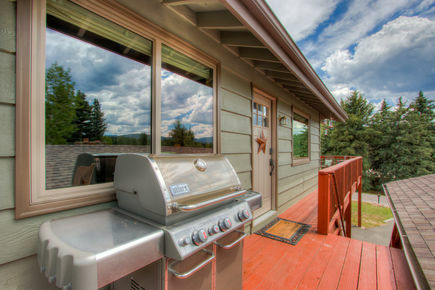 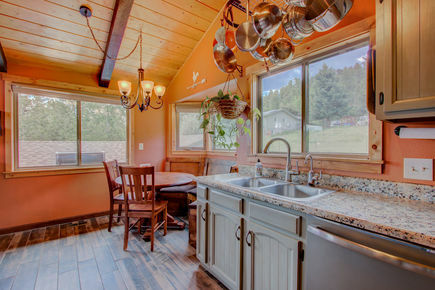 This recently updated home in Evergreen offers new energy-efficient windows and doors, a whole-house humidifier, smart home features, and vaulted ceilings in a living room with beautiful views to give you that true mountain home feel. 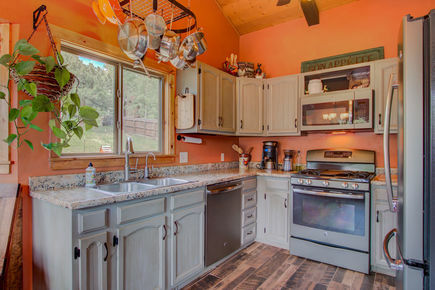 Enjoy a fully updated kitchen, rustic accents, and private deck that includes a hot tub with great space for grilling and entertaining. 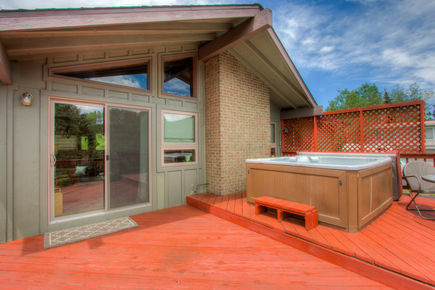 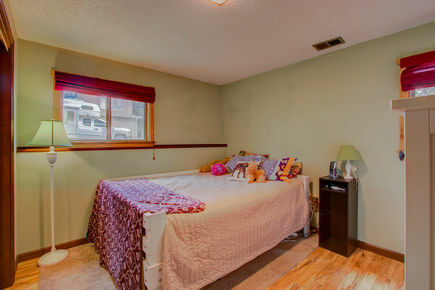 Features 4 bedrooms, 2 on each level, and 2 living rooms, allowing you and the kids or guests to spread out. 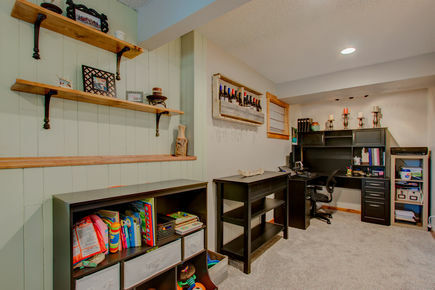 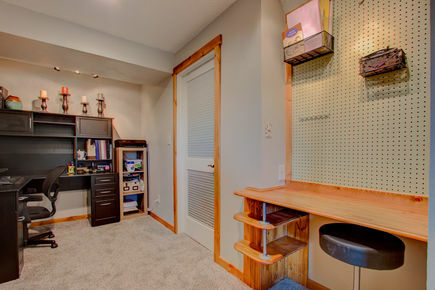 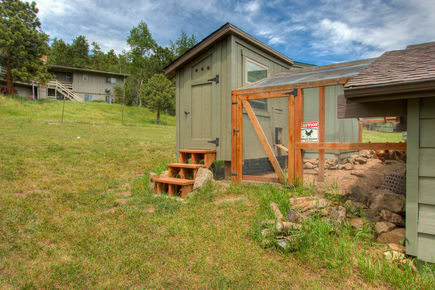 Behind the home offers a utility shed and space for your chickens. 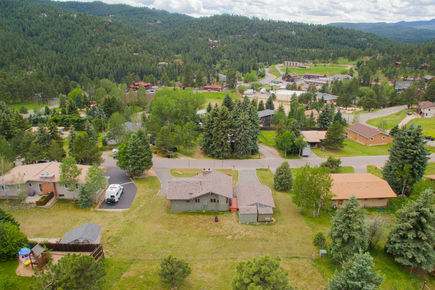 Easily walk to downtown Evergreen or the nearby craft brewery, conveniently located by all the great hiking trails and more!